If you wanna be the toast of your town by grabbing a seat in one of the best organizations or corporates then work on 7 qualities outlined below and upsurge your chance within an inch of your life to get hired during campus placement. Let’s delve in. Possessing good communications skills will help you stay ahead to your bootstrap if you have a penchant to get placed at the best company/organization during campus placement. Here we don’t just mean your verbal and written skills instead, this also covers how you listen to and react to certain situations, your body language, your voice, modulation, gesture, posture, usage of words while communicating, and much more. If you are good at communication, you’ve already won half the battle. This is another critical quality requisite to improve your chances of grabbing job during campus placement, be it for graduate jobs or experienced positions. Recruiters always seek candidates who can work well in teams and they test it with group discussion rounds or group tasks. So, be honest during such sessions and make sure to perform great. Skills and Knowledge are the important elements recruiters consider while interviewing a candidate. During campus placements, your domain knowledge is tested through technical and personal rounds. Hence, make yourself prepared to face such questions by enhancing your knowledge inch-by-inch and day-by-day so that you can be quick with answering all the queries asked during an interview. Students seeking to get placed during campus placement must possess the ability to effectively manage difficult situations. Recruiters prefer to hire aspirants who are great problem solvers relative to those who look for others to come up with solutions regarding work-related defies. So, before jumping for an interview make sure you have the potential of identifying a problem. And coming up with an effective solution for the same. During campus placements, recruiters are looking for the students who carry a positive attitude and are always open to learn new things. Apart from that, they too check whether a candidate can work in a stressful environment or not. Consequently, remain calm and genuine during your interview and yet perform well. The chances of getting a job will increase multiple times if you are skilled in afore-mentioned qualities. 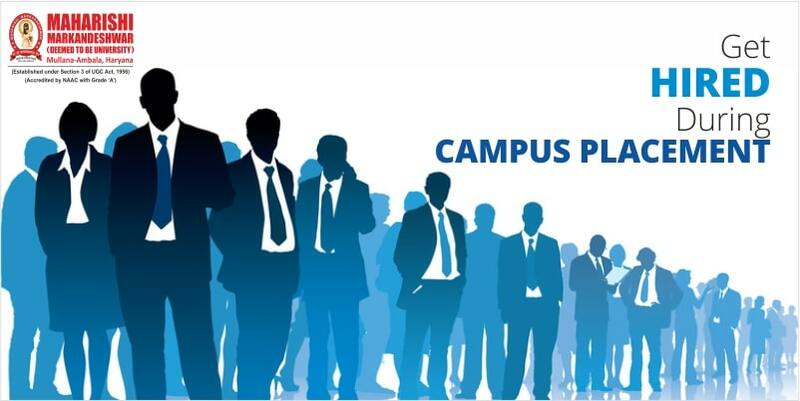 Get set to put your best foot forward during campus placement by having mastery in all listed qualities. Simply believing that you are skilled won’t help. You’ve to prove it with your answers, behavior, and skills during campus placement interview. Good Luck! You made certain nice points there. I did a search on the subject matter and found a good number of folks will go along with with your blog.